To keep your bike running in good condition for as long as possible, you’ll need to check and change your motorcycle’s oil at regular intervals. If your motorcycle has too little oil, the engine might seize of blow up. If you add too much oil to your engine, the internal engine pressure will be too high and your bike will likely start smoking or leaking oil. To check your motorcycle oil, the bike should upright on the center stand. On certain bikes, you’ll need to run the engine for a bit to get a proper reading. On other motorcycles, you may need to keep the engine running as you check the oil. Dip Stick: Motorcycles with a dip stick allow you to check the oil by unscrewing the oil cap and reading the markings on the stick. To check your oil level, unscrew the cap, wipe the dip stick clean, re-insert the cap and dipstick into the engine, remove it and check the oil mark. 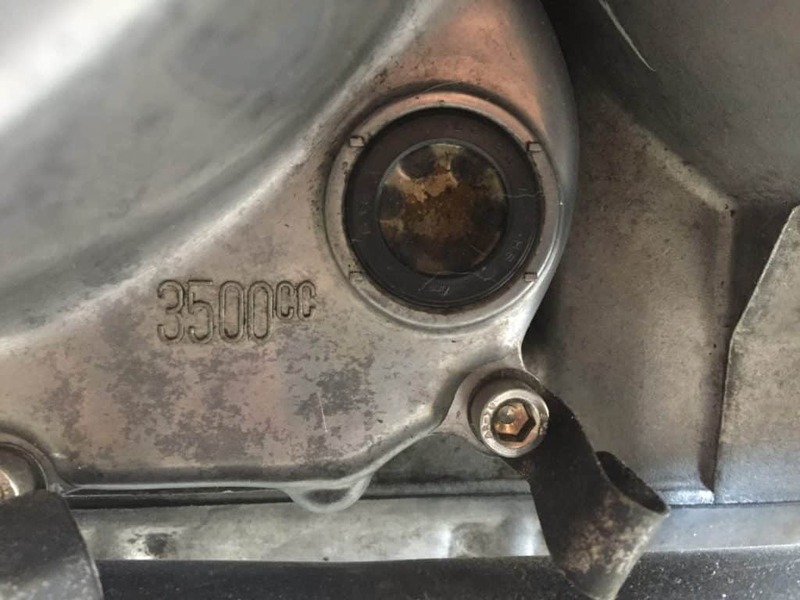 Oil Level Plug: Motorcycles with an oil level plug will have a threaded cap that screws into the engine and indicates where the oil level should be. Sight Window: Oil sight windows are typically located near the bottom of the engine cases. You may need the bike running to check the level. The sight window will have a high and low mark on it. If your oil is too low, then top it off. If the oil level is too high, be sure to remove some before running the engine for too long. It’s important to change your motorcycle oil at regular intervals to insure top performance and longevity. Your motorcycle shop manual will tell you exactly how much oil you need to add to a bike. The manual will usually provide different amounts of oil for when you change it with or without also changing the oil filter. It usually helps to run the engine for a bit before changing the oil. Placing an oil catch pan under the engine. Clean any metal or particles off of the drain plug and its threads. Check the shop manual for the correct torque value for the oil drain plug and reinstall it. Placing an oil catch pan under the oil tank drain plug. As you drain the oil from the drain plug, it’s a good idea to drain and change the oil filter too. Locate your bike’s oil filter bolt and unscrew it. Be sure to have your catch pan handy as oil filters can hold up to quart of engine oil at times. Drain the oil, inspect for any particles, and replace the filter with a new one. Be sure to check the shop manual for the correct torque for the oil filter bolt. Be sure to install your new oil filter in the proper direction.